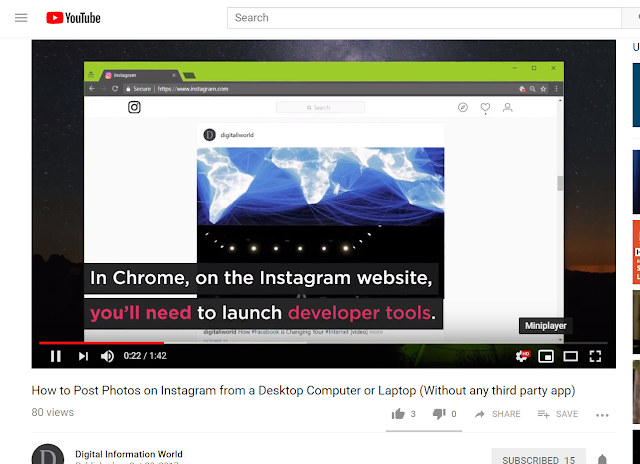 Finally, YouTube launched its mini player for desktop version before that it was released for the mobile users. Now it is possible for laptop/desktop users to search new videos while playing the existing one, you don’t need to quit. You will see video at the bottom right corner of the page. Before that you have to close the video to search other videos which is sometimes irritating. 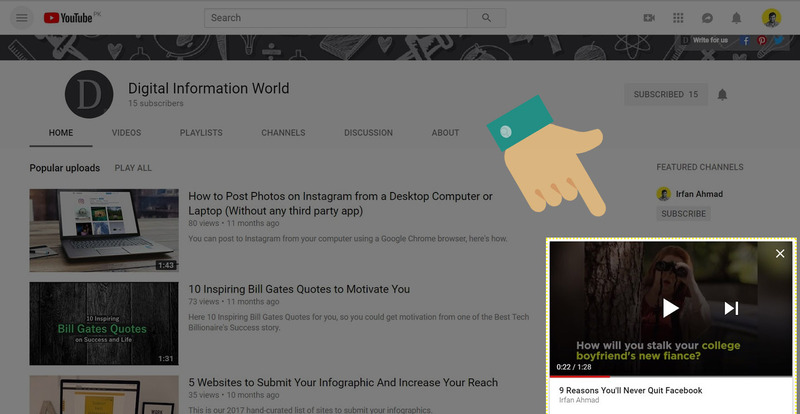 You can activate Mini player by just opening up your YouTube page, bring the cursor to your YouTube video. Menu bar will pop up along with the bottom of the video clip. You will see four to five icons at the bottom right corner of the video. Move the cursor over the middle icon that appears like a box inside another box, click on this icon. The Mini player will automatically activate and move the video to the right corner of the screen without any discontinuity. If you want to bring back your video, you just have to simply click on the video it will appear on the full page.